Here at Whispir, we’re in a privileged position to work across a wide range of industries and professions, and we get to spend a lot of time finding new ways of applying clever technology to solving tricky problems. And while we love helping with – and discussing – solutions to current industry challenges, we’ve always got one eye on the future. What does the next generation of communications look like, when artificial intelligence is used to analyse, decipher and exploit the massive volumes of data generated by machine to machine information exchange? How can we democratise access to advanced communications, and make them available as a service, so that every knowledge worker, and every budding entrepreneur has access to the tools that can help them directly solve their commercial, community and social challenges? Yes, these are big, broad concepts, that might seem mysterious, and might not seem immediately relevant just yet. But make no mistake, each of these technologies are already filtering out of the research labs and starting to have an exponentially increasing impact on our everyday lives. Understandably, there’s also a lot of hype, fear and mistrust about artificial intelligence, smarter machines and automation, and what that might mean for your job. But if you take a closer at these technologies, you soon realise that the future isn’t human vs machine, it’s human and machine vs problem. Ok, let’s start looking at these next generation technologies, and how we can get out in front of them to make sure they’re working for us, not against us. So, what do we mean by artificial intelligence (AI)? Depending on who is talking about it, the term could represent anything from flying robots doing our housework, to an over hyped buzzword that everybody’s claiming to offer in their products. The reality’s somewhere in the middle, and AI is finally emerging as a practical force in our lives, on many different dimensions. Before we explore those, though, let's take a step back and look at how the AI story's unfolded so far. Building on the world-changing work of Alan Turing in the 1930s and 40s, a group of scientists lead by Dartmouth professor John McCarthy in 1956 formally began a project to see if machines could evolve to learn like a human. Specifically, like a young child does, using trial, error and experience to form reason. The Dartmouth workshop crystallised the AI name, mission, first wins and key players, and is widely considered the birth of AI, shaping the focus of study away from other competing directions for the emerging field of thinking machines. These included “cybernetics”, “automata theory”, and “complex information processing”, each of which would have created an entirely different landscape for what we now accept as artificial intelligence. Throughout the 20th century there were booms and busts in funding and progress of AI research, with development typically stymied by the capabilities of computing power. 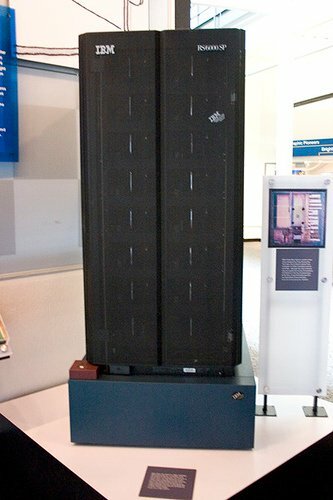 A major public breakthrough came in 1996, when IBM’s chess-playing computer Deep Blue sensationally managed to beat world champion Gary Kasparov, becoming the first computer system to defeat a reigning world champion under full match conditions. Algorithm sophistication - all of the compounded research and investment has meant both the machines and the scientists developing them are becoming smarter, and exponentially more capable of creating the conditions for genuine neural and cognitive growth. Few people understand the full extent that AI is actually now embedded in our daily lives. A HubSpot survey in early 2017 showed that 63% of responders weren't aware they're already using AI technologies. Artificial intelligence exists on a wide spectrum, from machine learning, neural networks and advanced automation at one end, to the everyday applications which have already reached our homes, like chatbots and voice recognition. Tens of thousands of payment processing capable chatbots, for instance, have been built and deployed on Facebook Messenger since it launched, while voice search on Android, Apple and Windows mobile devices is driving daily use and acceptance. So far the practical implementations of AI have been fairly frictionless, but the next generation of technologies are bringing structural changes to homes, workplaces, and entire supply chains. In the next edition of our AI series, we'll take a deep dive look at some of the ways the AI future is starting to manifest. From driverless cars and robotics, to self-learning neural networks, intelligent systems will impact every aspect of how we work and live today. We'll also explore how advanced intelligence can be applied to communications challenges, to initiate complex workflows based on machine analysis, without needing people to create and execute them. Stay tuned!